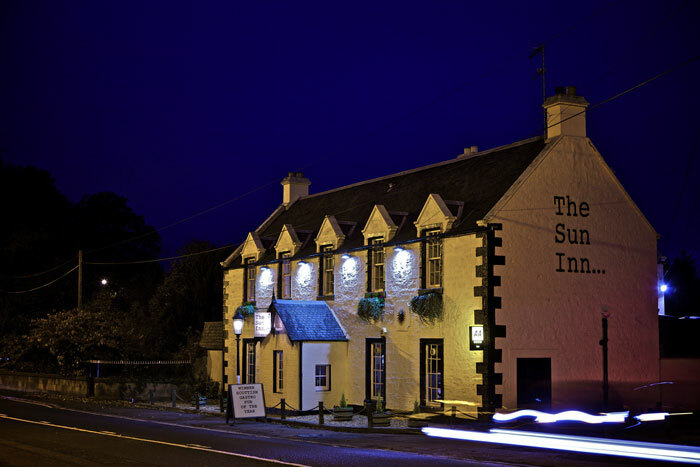 The Sun Inn is a beautiful old coaching inn that lies close to the banks of the River Esk in five acres of beautiful wooded grounds. Our historic building has been recently refurbished to give it a stylish contemporary feel, while retaining its true charm and character. The Sun Inn provides the perfect setting for a wonderful meal, a quiet drink or an enjoyable evening with friends. And remember, we're not just a pub – we're also an AA four-star boutique inn. The Sun Inn is a real family business. Head Chef Ian Minto, is an award-winning cook with a passion for quality and fresh produce. Craig, his son, is the expert 'nose' behind the Inn's exceptional wine list. While mother and daughter-in-law, Bernadette and Jay, bring their inspiration to the décor and front of house arrangements.